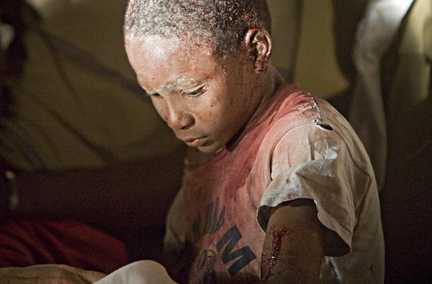 The catastrophic situation in Haiti is beyond painful. It is very difficult to even begin to articulate any meaningful thoughts much less sort out feelings. Powerlessness comes to mind. In closing, as we enter the third millennium, we are urgently called to action in two distinct capacities: to serve as hospice workers to a dying culture, and to serve as midwives to an emerging culture. These two tasks are required simultaneously; they call upon us to move through the world with an open heart-meaning we are present for the grief and the pain-as we experiment with new visions and forms for the future. Both are needed. The key is to root our actions in both intelligence and compassion-a balance of head and heart that combines the finest human qualities in our leadership for cultural transformation. It is too late for too many Haitians to put the above in play, but it is not too late for the survivors. Compassion in the present is only useful if it serves as the foundation for a better future. We can do this for and with the Haitian people, as a global people, working in unison. It would be unconscionable to remake the old situation. It would be less than fully human. This is the time we must make the least of us, first.